Liverpool host an unpredictable Crystal Palace side this weekend, but do Eagles supporters envisage a positive result for their team? The Reds take on Roy Hodgson’s side at Anfield on Saturday afternoon, looking to go seven points clear of Man City again. 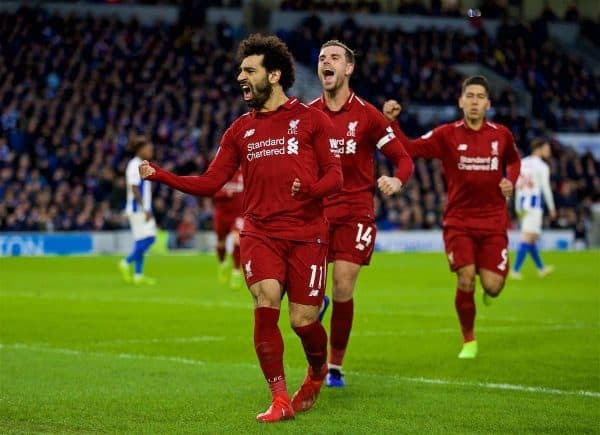 Last weekend’s 1-0 victory at Brighton was a crucial result and sealing yet another win against Palace is imperative. The Eagles have won on three of their last four trips to Anfield, however, so Liverpool should not be taking their opponents lightly. Ahead of the game, we spoke to Palace fan Robbie Scotcher (@RobbieScotcher) to get his thoughts on both sides’ seasons and how the weekend meeting may pan out. Crystal Palace are 14th in the Premier League – how happy are you at the moment? At the start of the season I was hoping we would be competing for the media-dubbed “Everton Cup” – seventh place – but we’ve had a bizarre first-half of the season. 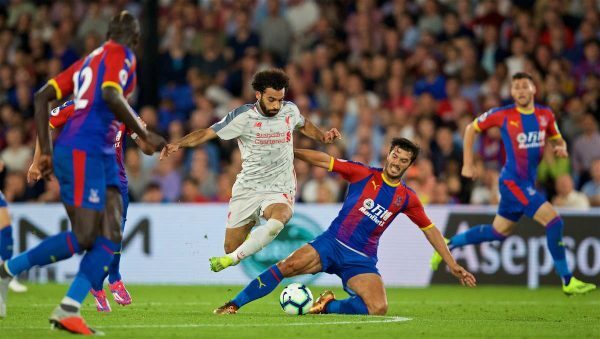 It came to light that Christian Benteke had carried an injury from 2017/18 into this campaign, and opted to have an operation. That left us with Connor Wickham (body made of candy floss and been out for two years), Jordan Ayew (great work-rate but not much else) and Alexander Sorloth (just toilet), so basically no attacking options. This issue has taken us into another relegation battle. Our fans have also been split down the middle by a season ticket reshuffle which has been tough, so 14th and a few points ahead of our relegation rivals at this point is frustratingly positive. 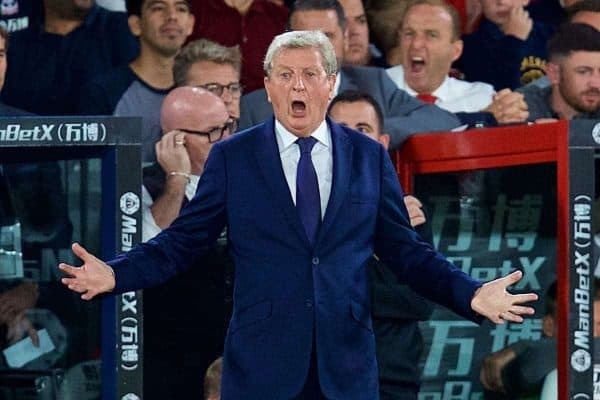 Liverpool fans have a certain opinion of Roy Hodgson – is he still the man for the job at Selhurst Park? You didn’t mind him that much after we beat Man City last month! When he came in it was exactly what the club needed. He’s a Croydon boy – our manor if you’re not aware of the geography – and first watched football as a kid at Selhurst Park. He brought a stability back to our defence and our pattern of play was solid but more expansive than under Sam Allardyce. We’ve played some great football under him and had some great results, too. The one frustration is a lack of substitutions. He rarely uses the bench until late on. I think this season we may go on a cup run and Wembley would be a great swansong. We’re going to beat Tottenham in the fourth round. 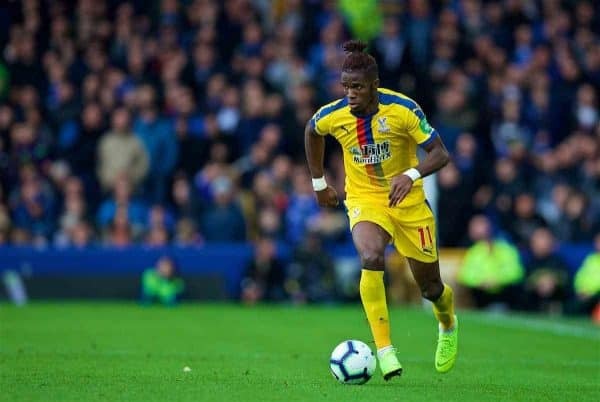 Which players have stood out most for Palace this season? Aaron Wan-Bissaka has been a revelation for us. We were short on training and he was pulled over to play with the senior team. He was a winger that had played a few times at the back. His job that day was to mark Wilfried Zaha and he had him in his pocket all session. He has become a right-back this season and he has the best statistics in that position in Europe. He’s got enormous potential and been our standout this season, and was also born in Croydon. Our back four have had the most clean sheets outside the top four and have looked solid. We’ve got lots of pace in the team and can break using our full-backs. Zaha has stood out but mainly for the wrong reasons. It’s just not clicked for him. He’s being played out of position and is not getting the ball where he can take it and run at players, creating that little bit of chaos and panic that can get us goals and penalties. That said, he’s still the best player I have seen in a Palace shirt and another local boy. I’ll be talking about him and what he did to my grandchildren and any other poor sod who will listen until I’m done. Goalkeepers Wayne Hennessey and Vicente Guaita have both had solid seasons so far. And what about Liverpool’s campaign? How impressed have you been? If anyone isn’t impressed they’re lying. 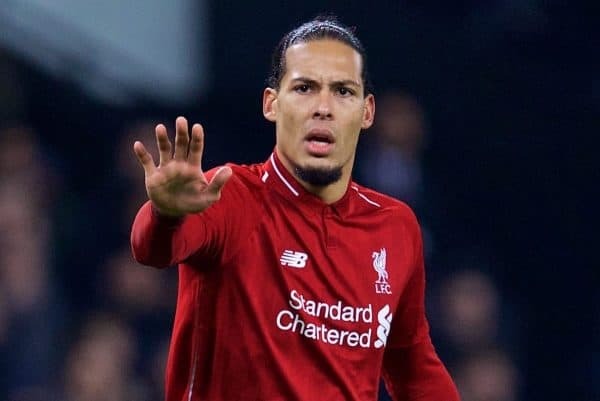 They are playing some absolutely glorious football and the team seems to have real unity, with Alisson and Virgil van Dijk looking like that last piece of the jigsaw. I absolutely love Jurgen Klopp’s passion, too. It does seem that you still haven’t hit top gear as well. I’m not the first to say this but it seems like you are preserving some energy for the run-in. You are still miles ahead of everyone else barring City, though, and the race to the end will be fantastic to watch. Are they going to win the title? It’s going to be fascinating – City are a superb team and are great to watch, but the margins between them and Liverpool are small. There is a lot of football to play, but Spurs are out of it now. I hope injuries don’t play a factor – losing Van Dijk would make things hard – but I think you will win the title. It just seems to be happening. I think it would be great if you did, because you don’t want the same team winning it every year. As fans we live to watch teams battle it out, and last season was done far too early. Anyone you fear from the Reds on Saturday? It’s harder to list who I don’t fear. The front three scare everyone and we need them to have an off-day to stand any chance. 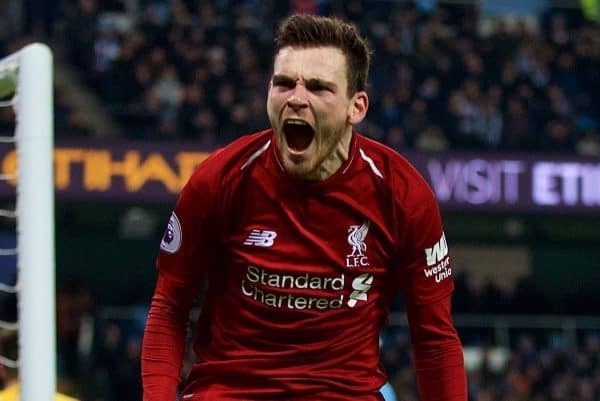 Andy Robertson will pin us back with his energy and if we manage to get past Van Dijk we still have to beat Alisson. I also fear Klopp and his in-game management. He will see how we are set up and make minor tweaks throughout that I worry we won’t react to. You can just blow us away and score three goals in 10 minutes before half-time, then the match is over. Where do you see the key battles taking place? I think we will be very compact. Liverpool are not going to lump it into the box so we will have to tighten up and frustrate a little. We have done this well this season, hence the clean sheets. Trent Alexander-Arnold is out injured, so I will be intrigued to see who Zaha will be up against. Andros Townsend is having a good season so you can’t double up and ignore him, with Wan-Bissaka also down that right flank. Patrick van Aanholt will also overlap with Zaha, while Benteke tries to get something out of Van Dijk. You’re a much better footballing team than us and we need our goal to live a charmed life. 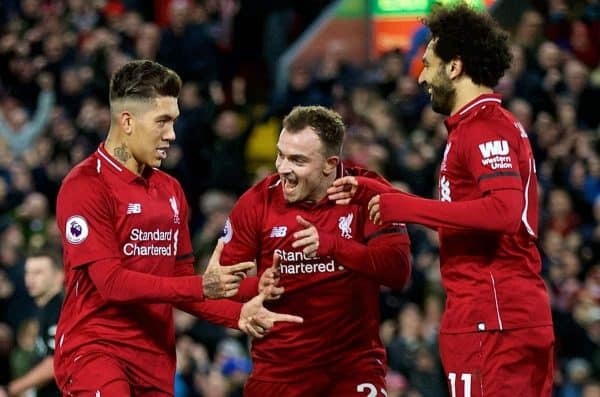 We have never played Liverpool and been favourites, but it is a fixture I look out for because it is generally a good game and I’m always surrounded by Reds. 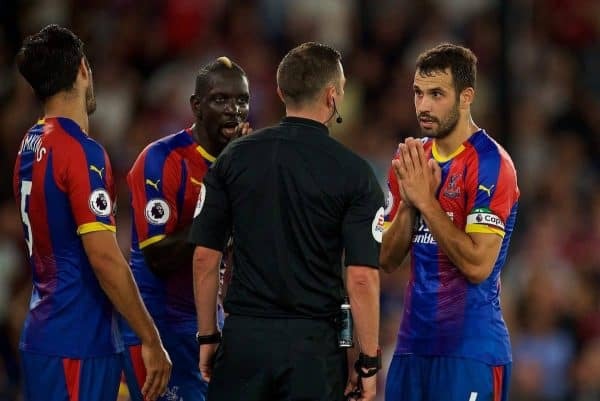 Nobody will give us a chance, but when all is said and done, I can never go against Palace so I’m predicting us to win 2-1 with a controversial penalty, with Liverpool having one of those days.